I can’t believe that March is almost behind us. Time is moving too fast. 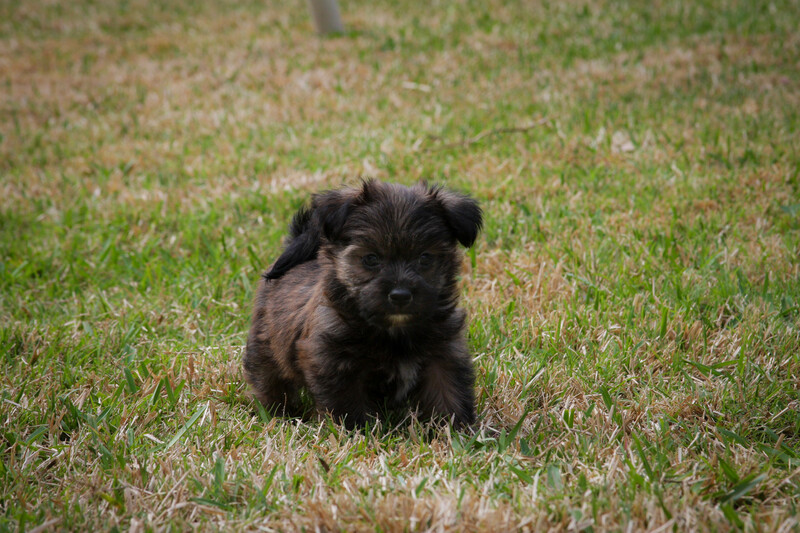 Watson is doing well, he is getting the hang of his crate training and has learned how to sit. Now if I can get him to be potty trained. 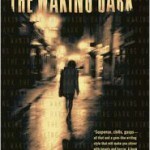 This is the companion novel to Not a Drop to Drink which I loved (my review). I also interviewed the designer that made both of these covers- Erin Fitzsimmons. As you can see I only posted twice again this week; there just isn’t enough time in a day. How was your week? What books did you receive this last week? Good job limiting yourself on the EW Harper titles. I was good too! I only downloaded IaHoD! Was so proud of myself. *pats us both on the back* You know, I read 3:59 and I wasn’t that big of a fan 🙁 I might do a giveaway. Have a great week and thanks for dropping by! Oh, that makes me so sad about the difficulty of international peeps to get the latest titles. 🙁 I hope you get to read it soon. I swear everyone is reading the Here and Now. I am behind on that book. I love the little puppy so much!!! SOOO CUTE! I’ve not heard the greatest things about The HEre and Now. I hope it’s better than I’ve been hearing. Thank you Angie! Awww, Watson is so absolutely adorable!! I cannot wait to see more pics! I also requested In A Handful of Dust but I’m pretty sure I won’t get approved… oh well! Happy reading and give Watson a belly rub for me! I hope you get to read a copy soon Pili! I hope it is as wonderful as NaDtD. Hungry looks very interesting! 🙂 I still have to read Not a drop to drink, but I love the covers and concept of this sort-of-series. Happy reading! Mel, I was surprised by how much I enjoyed NaDtD. I hope you enjoy it when you get around to reading. Aw, Watson is so adorable! Anyway, the books. I also got In a Handful of Dust–I was so excited to see that one on Edelweiss. 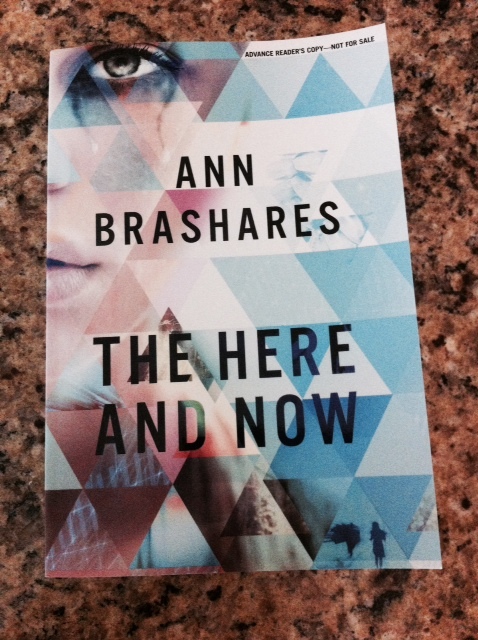 I’ll be reading The Here and Now next month (let’s hope it goes well for both of us). Hungry looks incredibly interesting. It sounds odd enough to make me want to read it. 3.59 is really good! Gretchen McNeil is pretty good at writing standalones. Still haven’t read Not a Drop to Drink yet I know, I need to. 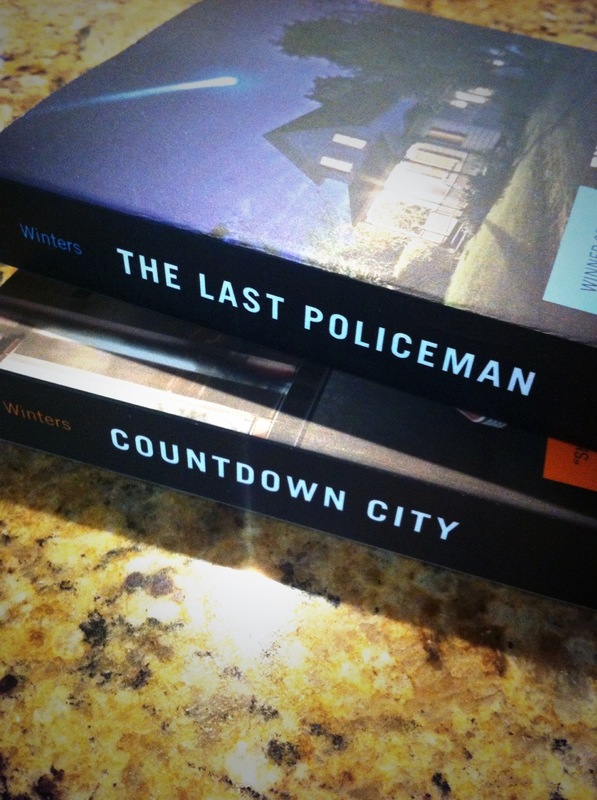 I also got The Last Policeman and Countdown City, interested to see what you think of them! I hope The Last Policeman is wonderful..I have very high hopes for it…the premise is excellent. Have a great week and thanks for stopping by! I haven’t read Not a Drop to Drink and Just saw that one on Edelweiss and almost kicked myself for not reading the first one when I had the chance. Congrats on a nice win of 3:59 another one I still want to read. Thanks Michelle! You really must read Not a Drop to Drink! YAY FOR A HANDFUL OF DUST! I’m ridiculously excited (aaaand jealous, lol!) about that one. I’m absolutely counting down until I can buy my own copy. Those covers are just gogeous! I have my eye on 3:59, too. I haven’t read anything by that author but I’ve heard she’s pretty thrilling. 😉 My StS! The covers of the McGinnis books are some of my very favorites. 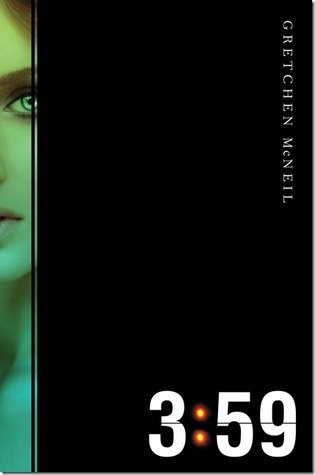 I have read 3:59 so I will most likely do a giveaway for it at some point. I also got In A Handful of Dust–I cannot wait because I loved her first novel! LOL at Hungry, very curious to see your thoughts. Hungry is probably going to be pretty bad but maybe it’ll be surprising? You’ve not read it yet? Yay to IaHoD! I can’t wait to get around to reading it. I imagine it’ll be wonderful. Of course, I’m ecstatic for In a Handful of Dust. 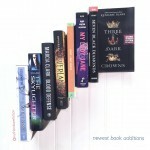 I don’t think I’ll be able to hold off on reading it for too long, even though I’m very far behind on my TBR. I almost read it this weekend, but I managed to hold off. 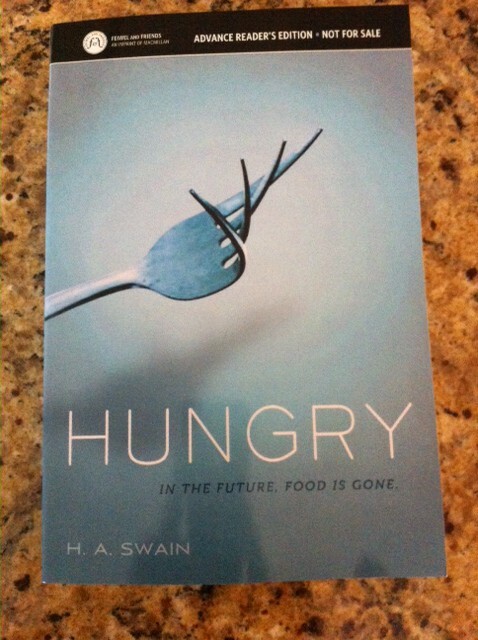 Hungry is another one I’m excited to read, even though I don’t think I’ve seen it around the blogosphere much. I am crazy behind on everything blog related. I hope to be able to catch up sooner than later. No clue when I’ll get around to IaHoD. Soon I hope! I’ve seen nothing about Hungry! I hope it’s good. OMG, WATSON. WHY IS HE SO CUTE?! Okay, now that that is out of the way, In A Handful of Dust! I am so looking forward to reading that one; can’t wait to see what you’ll think of it! And ohh, Hungry! I’m interested in that one. I’ve heard a lot of negative things about The Here and Now, but I hope you’ll enjoy that one! 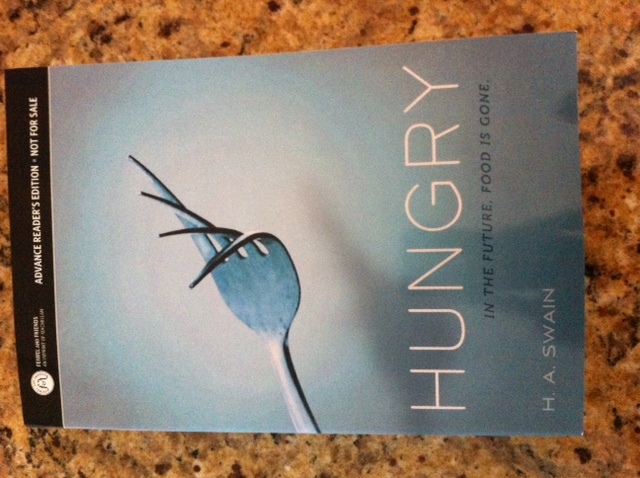 Something about Hungry looks intriguing but there is an aspect that makes me a tad unsure. I will probably try to read it sooner than later to just see what is in store. I am so curious about it since I’ve seen no early reviews yet. That dog is ridiculously cute! I was looking at those new Harper books, my finger poised over the “download” button — and I choked. I need to go back and look at them again. I did really love Not a Drop to Drink — I thought the book was a standalone until just recently and I’m worried about another book. I was so proud of myself for only downloading one of the Harper titles. IaHoD is a companion novel so we’ll see how it ties into the first book. Excited to see what is in store. I read 3:59 and wasn’t crazy about it. The romance made me roll my eyes so much. I will probably do a giveaway for it. Thanks so much Marlene! 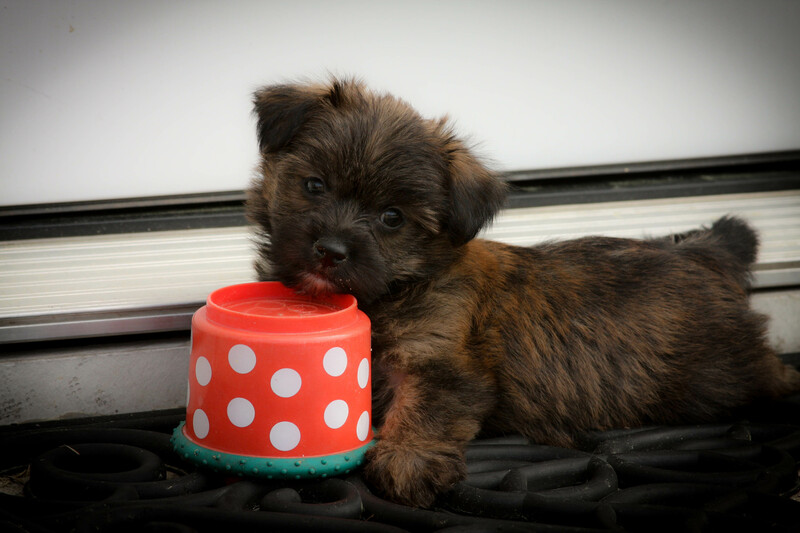 Goodness, are you TRYING to kill us with cute, adorable puppy pics?!? 😀 Seriously, though, I don’t know if I’ve ever seen a cuter dog. 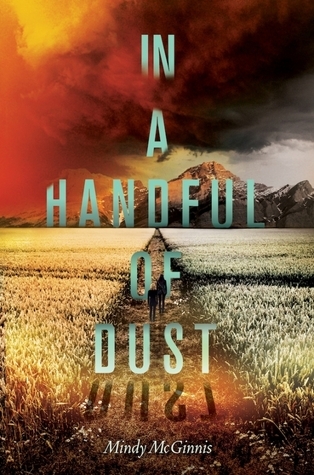 So, so, so excited for In a Handful of Dust. I choked up at the end of the first book, but I’m very much looking forward to this glimpse into the future for those characters, to see how this world has changed and what it means for the next generation. Should be an awesome read. And I love the artwork on those covers…simply gorgeous and telling of what lies between the covers. Gosh the first book did some emotional damage to me for sure. I can’t wait to read what McGinnis has in store. Perhaps it could be a buddy read?